Hello! Autumn with you today to share a simple birthday card idea with you using our new Happy Birthday Square die. If you are anything like me, you can never have too many birthday cards on hand. This size and detail of this die make it so simple to create beautiful cards in bulk. What a great way to use up your older designer papers. Here I layered with tiny paper flowers and pearls for a little extra oomph. I have several jars of these tiny flowers and couldn't use them all in a lifetime, so what a great stash buster! 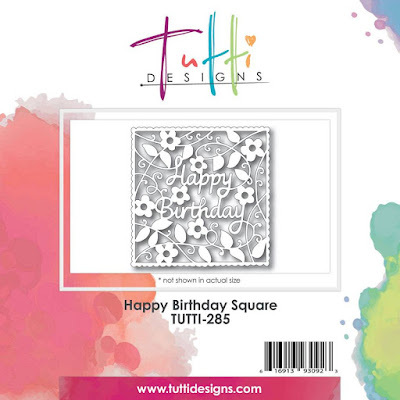 Purchase up your Happy Birthday Square die today!